Renowned murrelet researcher, Dr. Martin Raphael will be making a special presentation at the September 1st Board of Natural Resources (BNR) meeting in Olympia. Raphael is a Research Wildlife Biologist of 26 years with the USDA Forest Service Pacific Northwest Research Station in Olympia and co-author of the Recommendations and Supporting Analysis of Conservation Opportunities for the Marbled Murrelet Long-Term Conservation Strategy. Funded by the Department of Natural Resources (DNR), this important report is more commonly known as the 2008 Science Team Report. Dr. Raphael will discuss why Washington's state-forest lands are crucial to the survival of the marbled murrelet. There is an unfortunate impression among members of the BNR board that because "only" 11% of Washington's marbled murrelet habitat is managed by the state (DNR) that this habitat is not crucial to the survival of this species in its listed range--a federally threatened species in Washington, Oregon, and California under the Endangered Species Act. Of the estimated 2,099,900 acres of forested habitat for the marbled murrelet in Washington, the DNR manages 238,900 acres; the federal government 1,446,800 acres (national parks, national forests, etc); and private and tribal entities manage 414,200 acres. Habitat losses across all land ownerships--primarily from logging and forest fire--are too great to provide the quantity and quality of nesting habitat critical to the marbled murrelet's survival. In the next few months, the DNR has an opportunity to make a significant contribution to the survival and recovery of this species--and adopting a conservation strategy based on the 2008 Science Team Report would go a long way toward that laudable goal. The only scientists the BNR board members have heard from during their monthly meetings are employed by the DNR. Dr. Raphael's presentation comes at the behest of the conservation community, which has been urging theDNR staff to adopt a conservation strategy based on the best-available science and to add to the three alternatives strategies under consideration a fourth based on the 2008 Science Team Report. The DNR has been managing its forested trust lands in accordance with a 1997 Habitat Conservation Plan, a document created when little science was available on the biology and behavior of the elusive, secretive marbled murrelet and its well-hidden nesting sites. The DNR's progress updating this document has been as slow and awkward as an alcid on land. The conservation community worked hard for Dr. Raphael to be invited to speak to the Board of Natural Resources. Your attendance at the September 1 meeting would be greatly appreciated. The meeting begins at 9 a.m., Raphael's presentation starts at 9:30 and is schedule to last 30 minutes. Their will be a chair report by DNR's Kyle Blum on the Marbled Murrelet Long-Term Conservation Strategy and Sustainable Harvest Calculation at 11:20. There is an opportunity for public comment at 11 a.m. If you wish to speak, please arrive by 8:50 to sign in. If you do not wish to speak, be sure to pick up a marbled murrelet button to wear to show your support. The meeting is held in the Natural Resources Building, 1111 Washington St. SE, Olympia. If you cannot make the meeting, Dr. Raphael's presentation can be viewed as a PDF through the BNR's website. Scan down to September 1 "Meeting Materials" and click on "Marbled Murrelet Modeling Presentation." Everyone will benefit from Dr. Raphael's narrative. Please note, the BNR will not be presented with or be voting on any strategy alternative at this meeting. 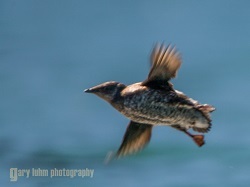 For the most up-to-date information on all things murrelet, please visit the Murrelet Survival Project.